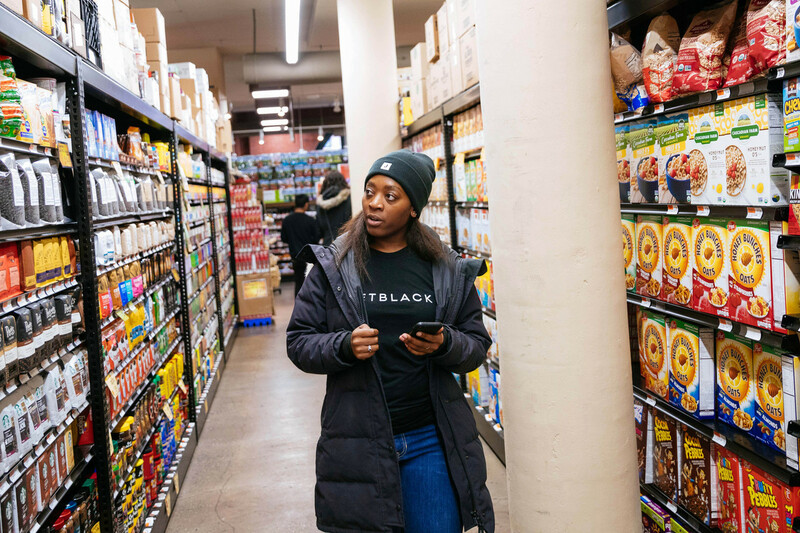 Ms. Davis works for Jetblack, a personal-shopping company targeted at mothers launched last summer by a surprising newcomer to the field: Walmart Inc. WMT -0.01% A few hundred shoppers in New York City pay $600 a year to order anything by text message except for fresh food. Members were invited by Walmart, or referred by current members, and need to have a doorman to join. Customer agents Nicole Jaffoni, left, and Kylie McLaughlin at Jetblack’s offices in lower Manhattan. 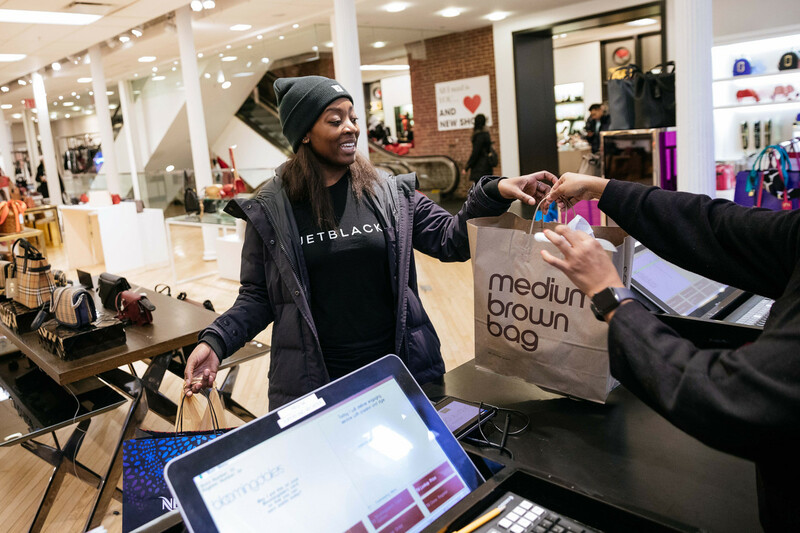 Ms. Davis shops in Manhattan for a Jetblack customer. She looks for chocolate chips, makes a purchase at Bloomingdales, rides the subway and checks on a Nespresso product. Walmart has massive sales but only a small portion comes from e-commerce. 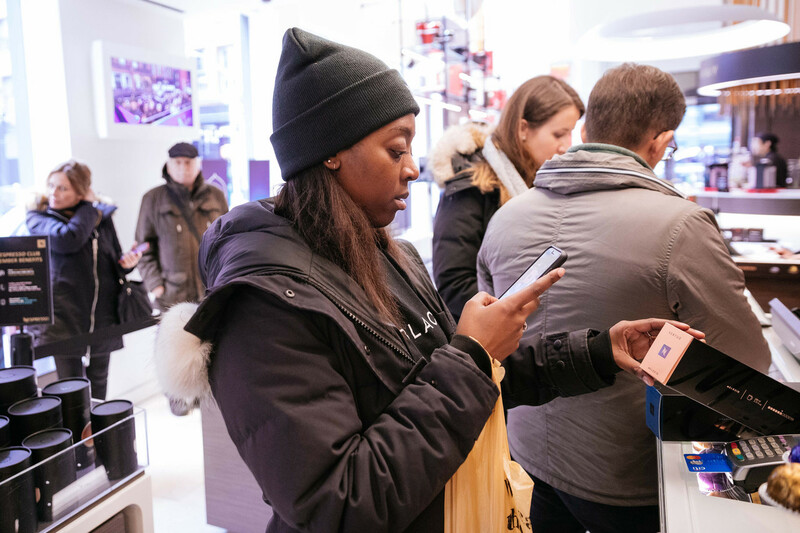 The giant has a much larger physical presence than Amazon, but the online retailer's staffing is growing quickly and shareholders have rewarded it. Staffers Brent Meyer, left and Sam Roth ride scooters in Jetblack’s lobby. 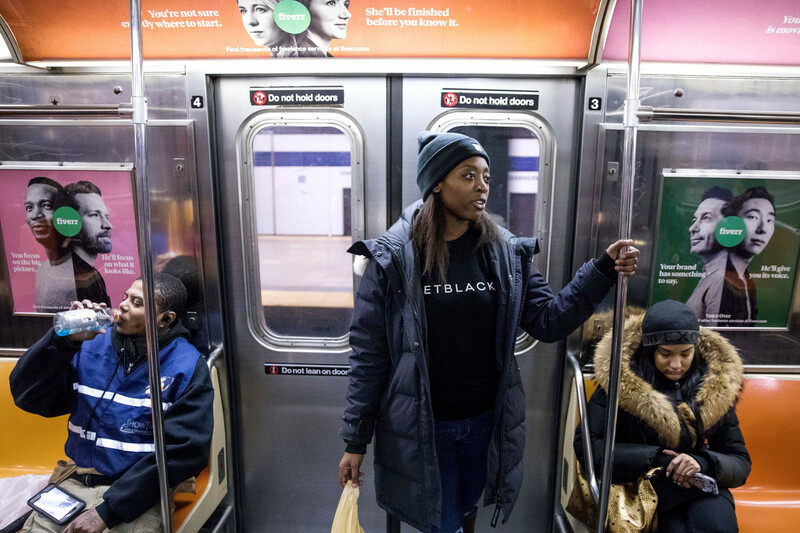 Ms. Davis prepares to make a delivery to a Jetblack customer.